Older riders.. how we see ourself..how we actually are.. Discussion in 'Australia' started by allan11, Oct 28, 2018.
as we get older do we still see in the mirror the younger person with the hot partner on the back of the bike..
or as we actually are now?? skypeace, Sfcootz, hunter_greyghost and 1 other person like this. BootsTwin, pratered, skypeace and 1 other person like this. Wodger63 and Oldfatbeerman like this. Not as good as I once was, but as good once as ever was. ajvjr54, MalleeFarmer, Sfcootz and 3 others like this. My hot partner rode behind me. She got a motorcycle of her own. My hot partner rides behind me again. tomrux, Wodger63, eddie bolted and 21 others like this. Motorius, Redback, Motopsychoman and 1 other person like this. taranaki, skypeace, Motorius and 3 others like this. Mesa AZ. No more winters..
At age 80, any ride is a good ride even if only going to doctor appointments ! Wodger63, crash n bern, Wearyeyed and 11 others like this. The older I get the more I appreciate still being able to ride. Wearyeyed, cprbusa and Redback like this. I definitely don't ride like I used to: not as fast and not as stupid. That's a good thing. I can't fit into my racing leathers anymore. I wear better gear and I wear it all the time. I can still ride some off-road and can still ride all-day long if I need to. I can still sleep in a tent for a month at a time. skypeace, twotyred, Redback and 3 others like this. i just bought a cruiser (mostly just to hop on for a quicky around town) so dragged out the open face, leather vest i have had for 20years , bandana and dark sunnies.. i might get a tattoo?? skypeace, Crash77, gunnabuild1 and 2 others like this. 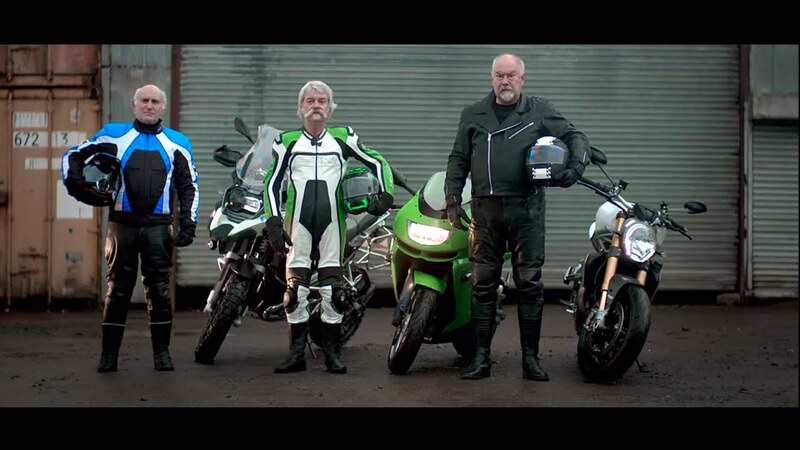 Think I ride with a lot more common sense and care at 65 than I did at 25.
skypeace, Redback and Motopsychoman like this. The older you are the older you hope to get. Wearyeyed, skypeace, ajvjr54 and 7 others like this. Just finished 880klm from the Island to home. Left at 7am home at 5.10. Just as ducked now doing it as I was when I was 35 ! robbiedobbie, skypeace, twotyred and 3 others like this. dirtsurfer and Mouse like this. What I once took for granted I now look forward to. What I now do on a motorcycle I appreciate now more than ever, knowing that one day I will not be able to do. Every ride is a gift, whether a trackway on the sportbike on the RR, a woods ride on the CRF or a Ironbutt ride on the RT. Cruiser rides with my wife of 38 years (she rides her own Indian) are such a pleasure and our time is so precious. At 62, we ride to enjoy..... :) Keep riding and realizing the gift of The Motorcycle life style !! Wearyeyed, skypeace, MirthfulThylacinator and 4 others like this.